Bison, bow tie Pasta, beans, tomatoes, salsa, cheese. Pack Weight - Single: 142 Grams. Double: 283 Grams. One of our BEST SELLERS!! Our Cowboy Pasta with lean Bison instead of ground beef. 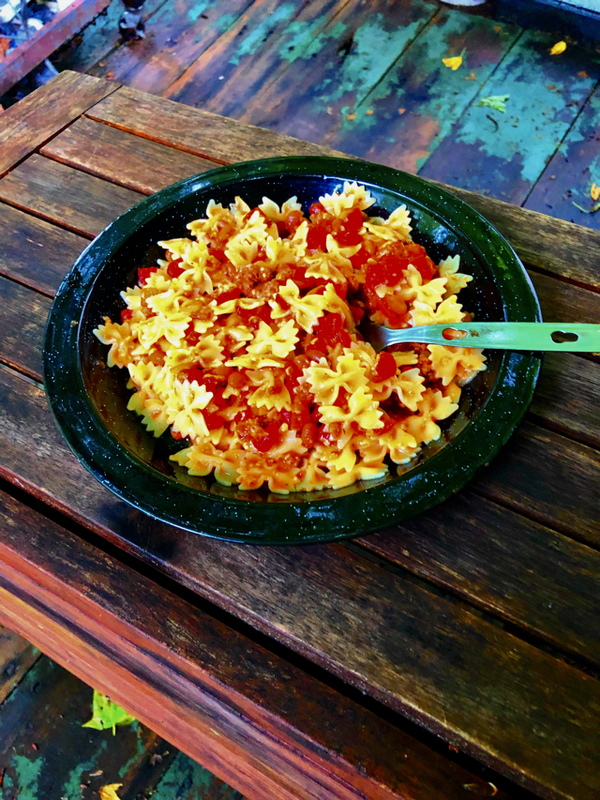 Stewed in tomato sauce and Salsa, blended with bow tie pasta, Parmesan cheese and country style beans. Fills the stomach and pleases the palette!! The buffalo pasta is excellent!! 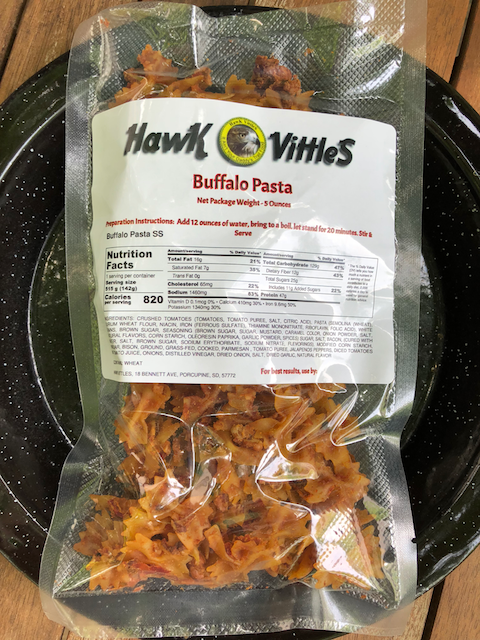 I can't imagine going back to freeze dried camp food after ordering from Hawk Vittles! Everything I've gotten so far has been great!